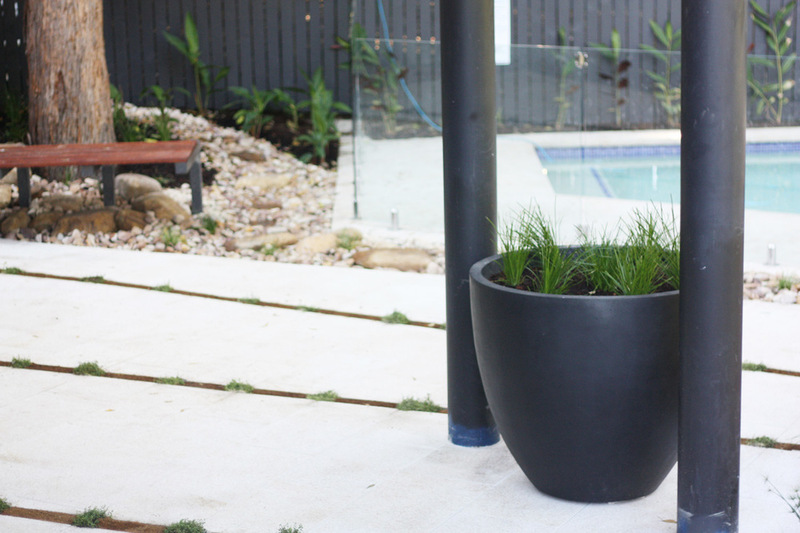 Modern landscape design to suit the Bardon lifestyle. 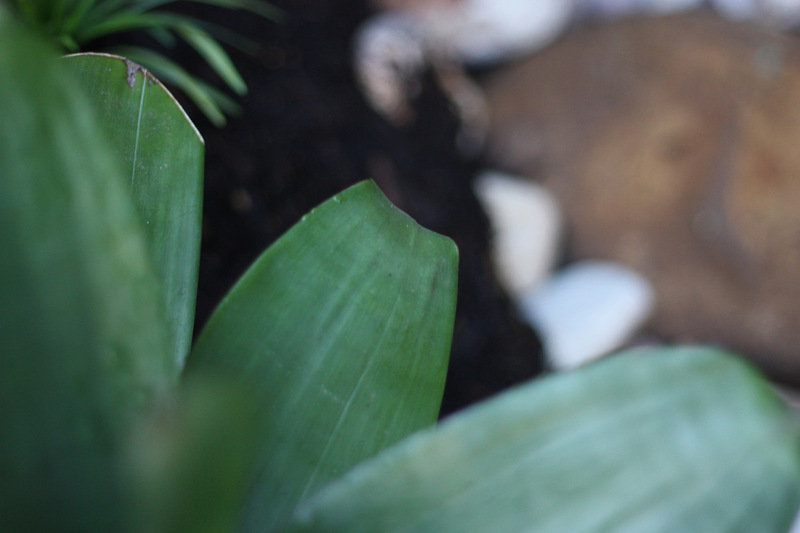 SEED Landscape Design residential project in Bardon, Brisbane, QLD, Australia. 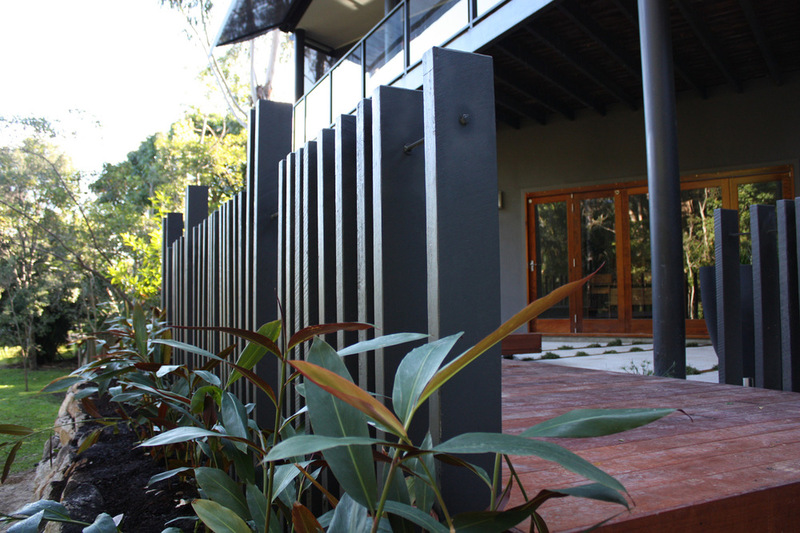 Our clients in Bardon has a beautiful modern building with interesting angles that we took advantage of when designing the landscape for the property; keeping the building design intent throughout the landscape. 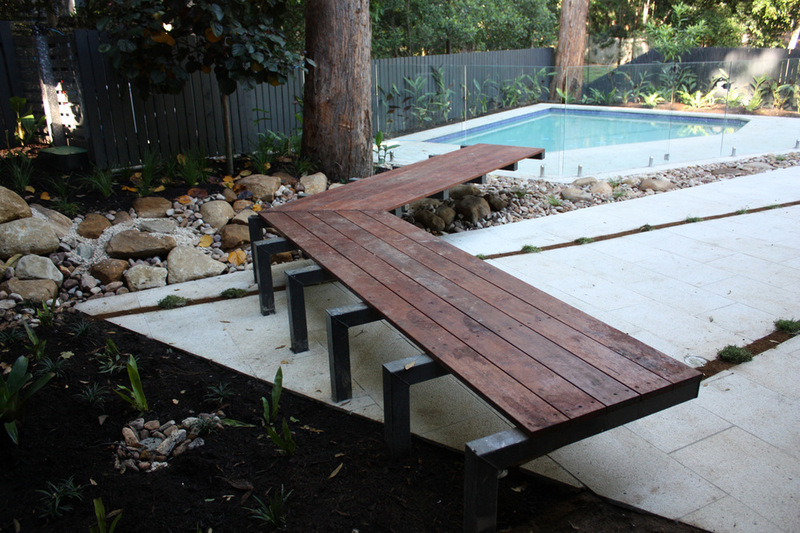 We installed angled benches for seating, and created vegetated angled slits to break up the large paved area. The slits create interest and draw the eye through the landscape at various positions. The property’s beautiful pool was poorly placed, not in parallel to the building. 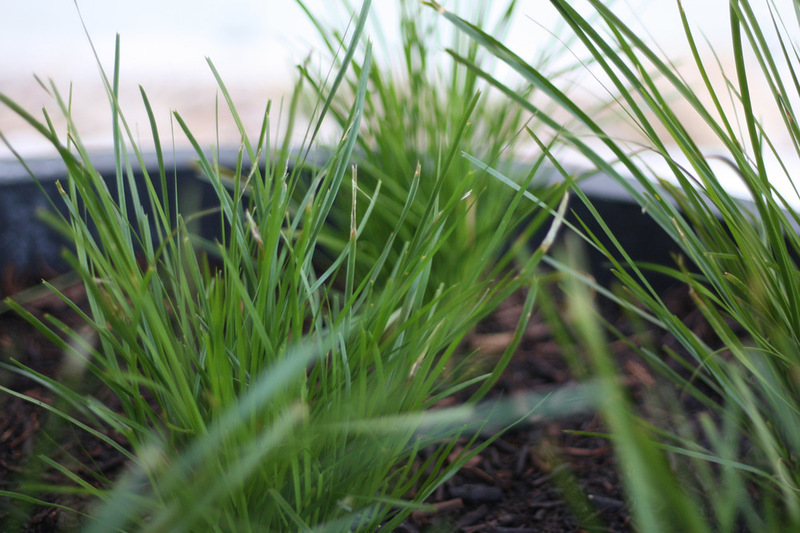 We corrected the visual disparity between the pool and the building by creating vegetated slits at random angles. The entertaining area adjacent to the home had a great green outlook, but was open to the public via an easement. 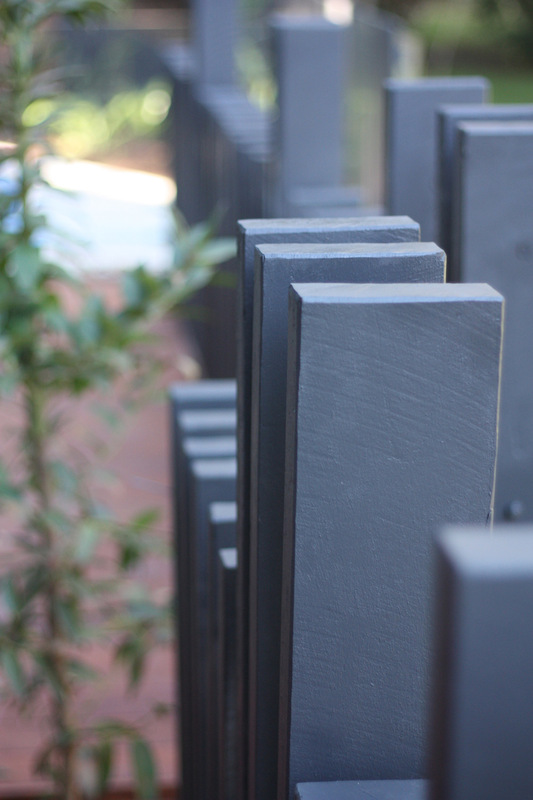 A really successful component of our design is a charcoal frame timber plinth, used to continue the rhythm form the building. 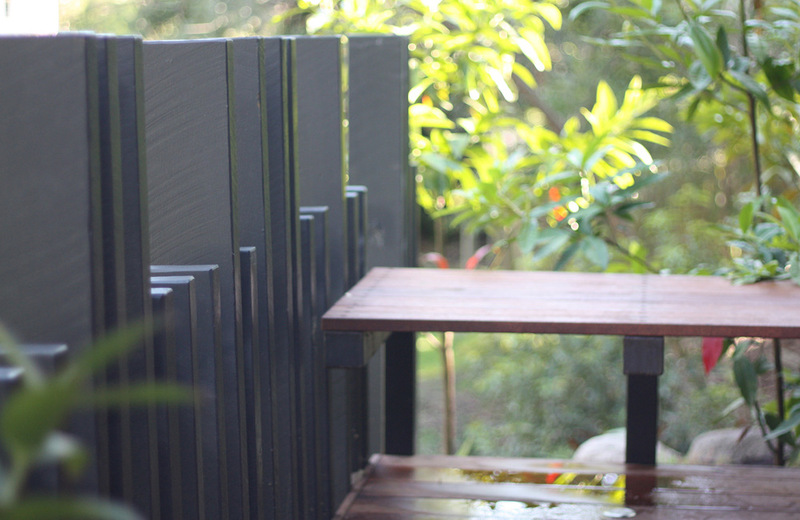 We installed the posts to allow enjoyment of the green view, but create a sense of privacy. 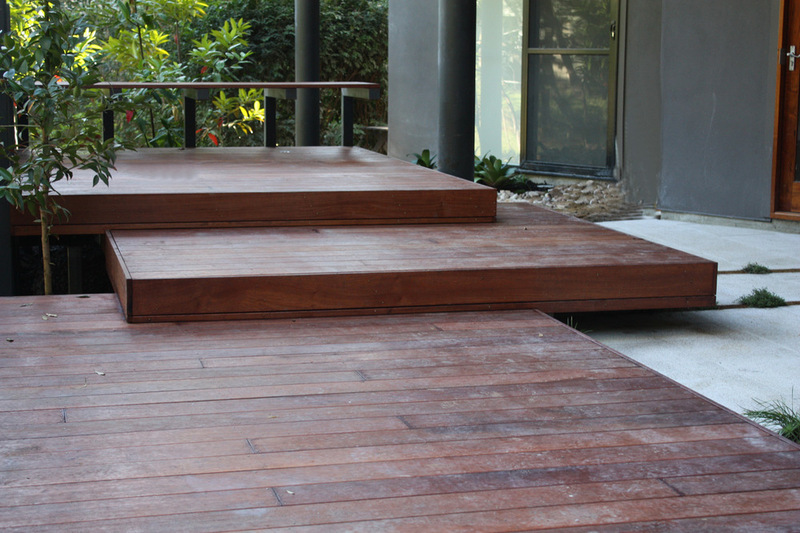 It also serves as a safety balustrade, especially for small children. The deck was also elevated to take advantage of the view, but allow privacy for dining. Wide seating was created alongside the dining platform, with dual purpose as a day bed. 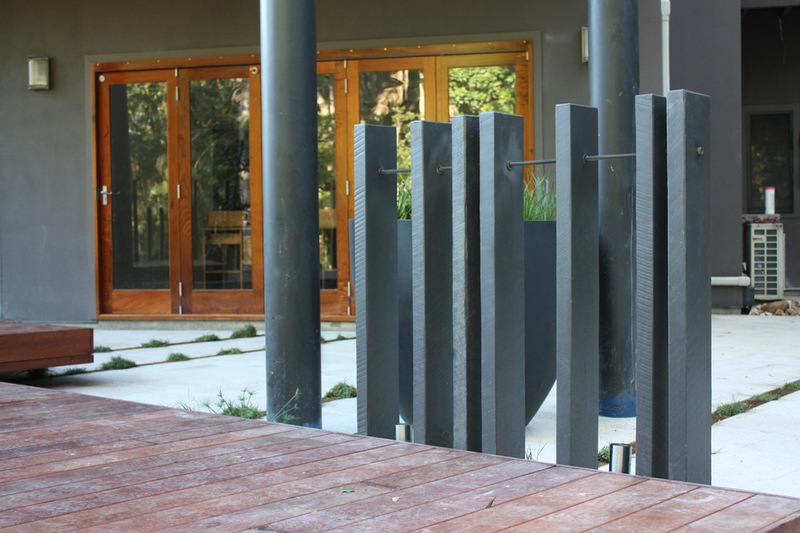 All seating was designed to float on a steel frame and placed in both functional and aesthetically pleasing areas of the entertaining zone. A simple fire pit was installed to extend the life of the entertaining area through the cooler months. 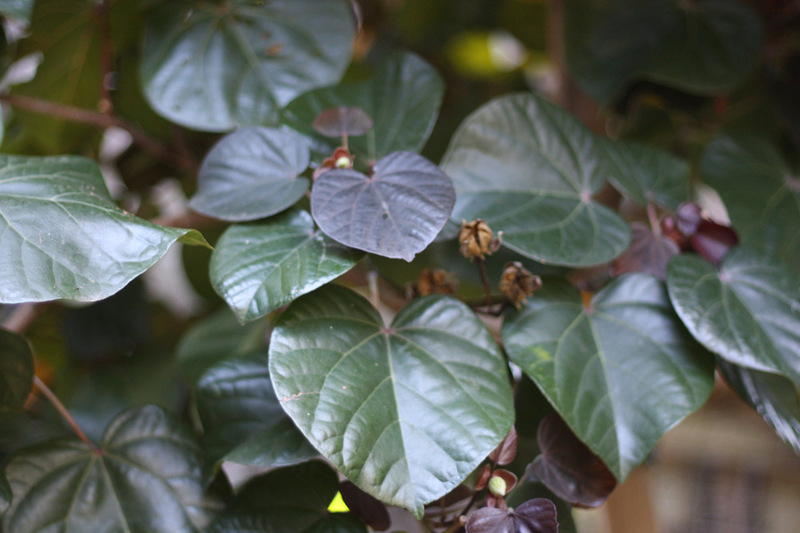 Plantings were kept with a sub-tropical theme, supporting the relaxed retreat nature of the space.